- Field anti-leakage design increases performance up to 50%. - Optimal number of poles to diameter ratio. 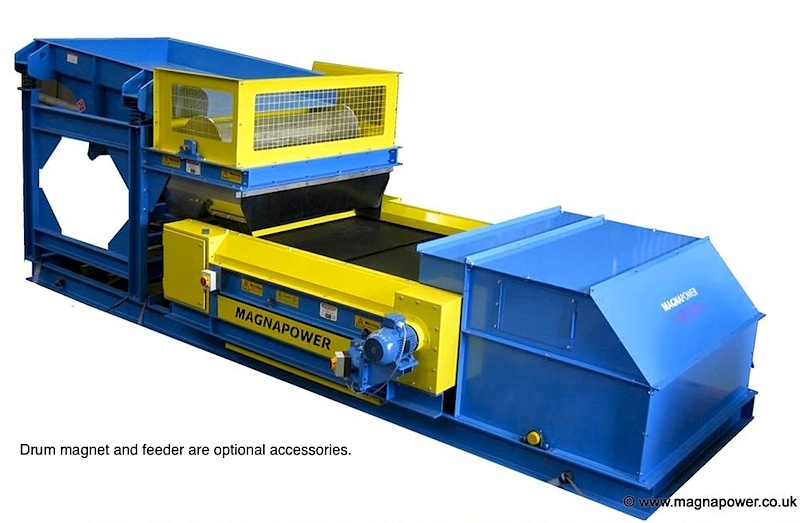 - Eccentric rotor for greater reliability and - using Magnapower's design - greater effective area & closer tolerances. - Heavy duty cantilever frame for simple belt change and maintenance. 1500mm (59") effective belt width. 3kW Rotor Motor (3 Phase / 60 Cycle / 460 Volts). 1.5kW Belt Motor (3 Phase / 60 Cycle / 460 Volts). VFD controls / feeder controls. Adjustable splitter box and frame. Labyrinth bearing seals to protect rotor and bearings. Operations and maintenance manual and free telephone technical support. Numerous parts in-stock for fast shipment. 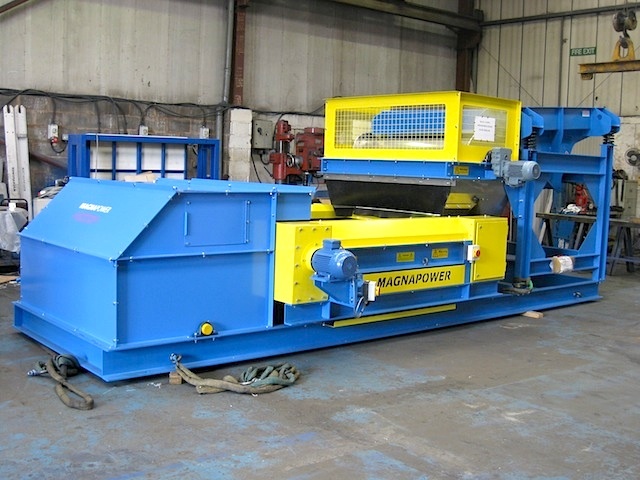 The Magnapower Eddy Current Separator (ECS) is suitable for a wide range of applications, from the recovery of small non-ferrous metals.